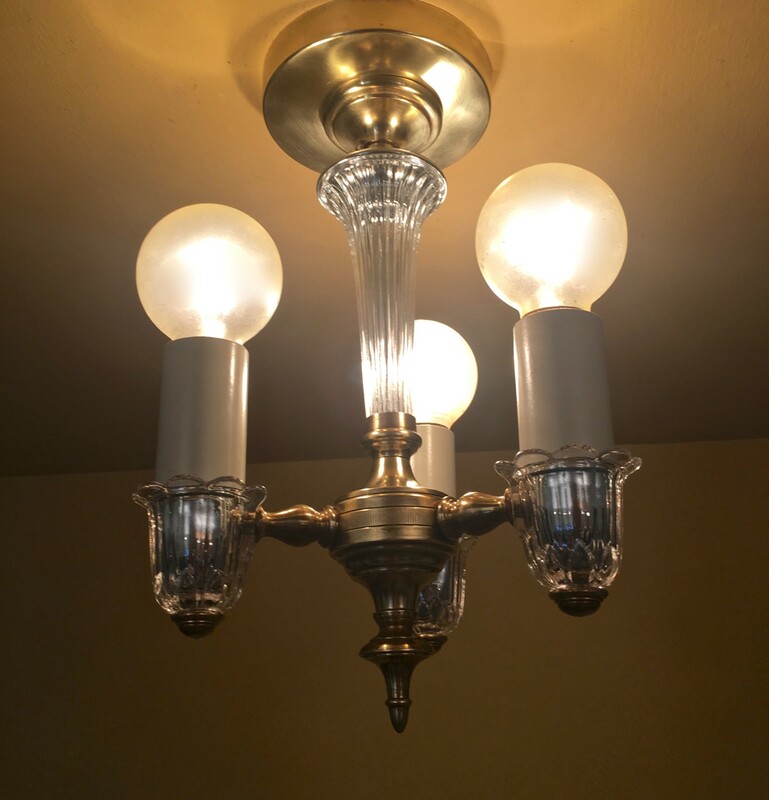 Yesterday, I did a post about a Lightolier fixture I had in storage forever. Feeling quite guilty all of a sudden, I hauled it out and restored it. The results were a glory. Inspired, this morning I went back into the dark recesses of my storage vaults and hauled out another Lightolier which had been tucked away forever. 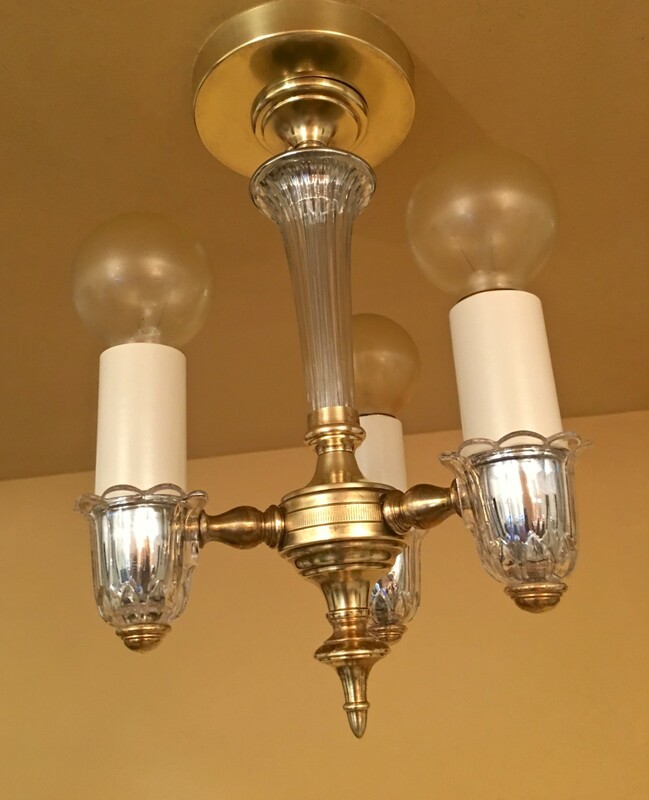 While petite in scale (ideal for a foyer or powder room), the fixture is large in presence. It is a knock-out! 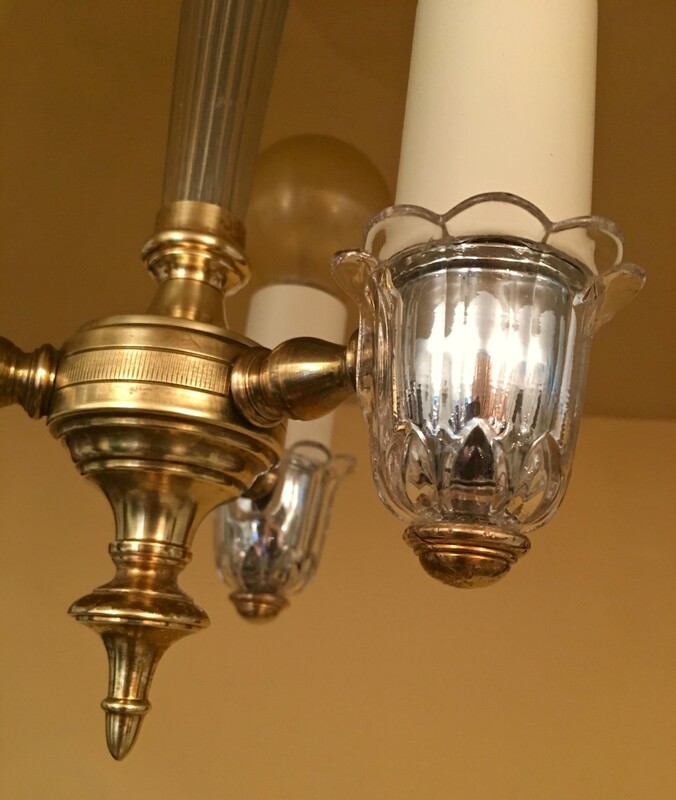 The three arms have lovely, delicate glass covers over the socket cups. Stunning. Won’t you take and show before pictures too?